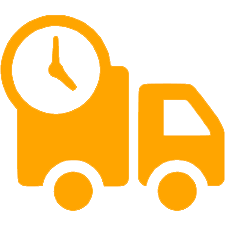 It is no surprise to see the ever-growing popularity of electric stoves simply because the technology, the design and the look have changed dramatically in recent times. The ACR Malvern Electric Stove blows away all of the stereotypical images of electric stoves from years gone by. The machine is lightweight, durable, built to an extremely high standard and comes with a durable black powder coat finish. The machine offers 1 kW and 2 kW heat output and for those who just like the atmosphere and the ambience you can simply switch on the flames with no heat. At a distance it is difficult to notice the difference between the electric stove and a similar sized wood-burning stove. Perhaps that is the secret? 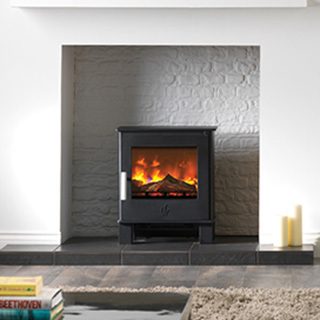 The ACR Malvern Electric Stove has a height of 549 mm, width 465 mm with a depth of 331 mm. As we touched on above, the heat output is 1 kW and 2 kW and the stove weighs 21 kg in total. For many people it is the realistic 3-D holographic flame projection which makes the difference. The flame settings, high, medium, low and glowing embers, create a wonderful atmosphere. For those with an interest in remote controls you will be pleased to know that the ACR Malvern Electric comes with a seven day programmable intelligent remote - supplied as standard. So, you can set your electric fire to come on before you get home, creating a relaxing ambience and taking the chill out of your room. 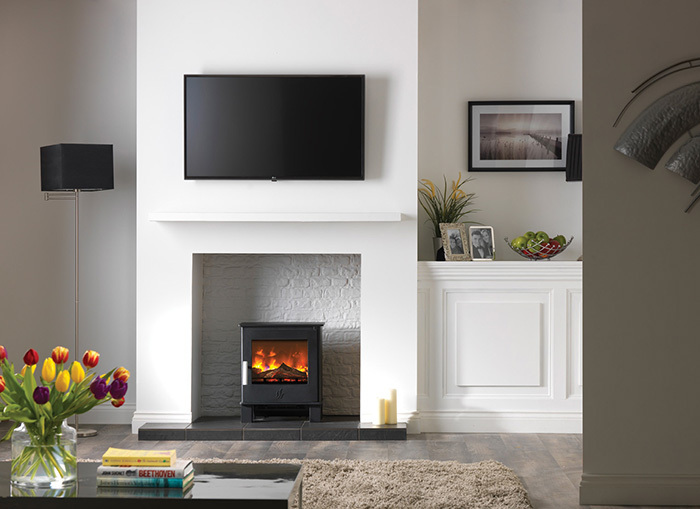 The ACR Malvern Electric comes with a two-year warranty covering all stove castings.